When Rodrigo Nino was diagnosed with an aggressive form of cancer, he turned to psychedelics to ease his anxiety around death. Now, he’s helping top scientists to research how hallucinogens helped him, and could help others. As a commercial real-estate developer in New York City, Rodrigo Niño is clear that he is as rational as they come. But when at 41-years-old he was diagnosed with stage three melanoma – the most aggressive form of skin cancer that can quickly spread to the organs – he was consumed by anxiety about dying. The disease taking over his body caused his perception of life to shift, so he did something his former self would have regarded as pretty irrational. Niño headed to the Amazonian jungle to take hallucinogenic drugs. “I had a near death experience because my chances of surviving were very bad. The cancer had gone into my lymphatic system and it forced me to confront death,” he tells The Independent. As Niño was faced with the fact that he might die, he realised that while he always knew he’d die one way or another, he wasn’t prepared in the slightest for losing his life. Searching online, he found his feelings had a name: end of life anxiety. Like 40 per cent of cancer patients, he was suffering from psychological distress linked to the disease. 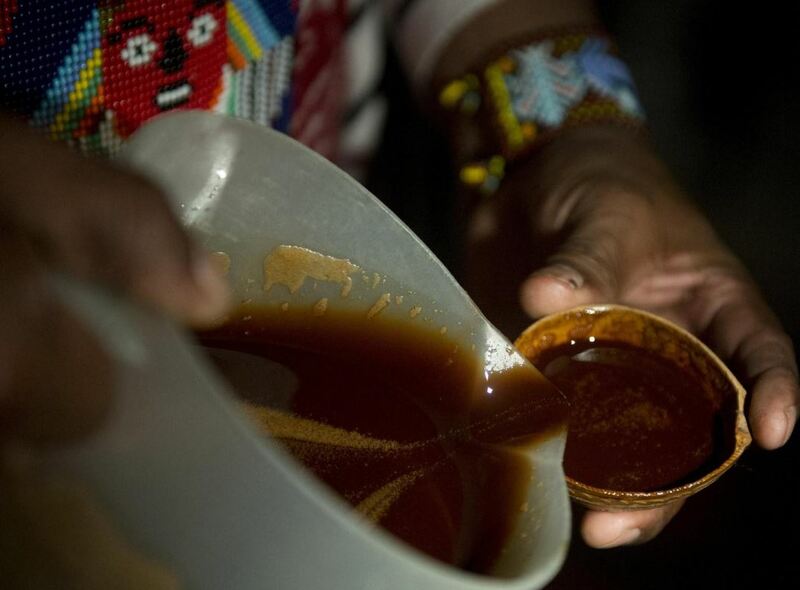 He then stumbled across theories of how ayahuasca, a psychedelic drug used in religious ceremonies by tribes in the Amazon basin for centuries, could ease it. “It was like waking up from one nightmare to a nightmare worse than the one before. It was a nightmare come true,” recalls Niño, who has been clear of cancer for five years. 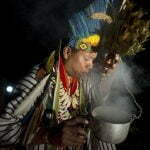 ..He visited the (local) people to see if ayahuasca could shake his fear of death. What he experienced was so profound that he struggles to articulate it. Now, Niño is one of the voices behind what is known as the psychedelic Renaissance, and is pushing for greater research into the potential power of hallucinogenic drugs to treat mental illness. Niño is turning his skills of crowdfunding real estate in NYC to help scientists investigate illegal drugs with psychoactive effects including MDMA, LSD, magic mushrooms and ayahuasca with his non-profit Fundamental. In a recent interview withThe Independent, Amanda Feilding, the Executive Director of the Beckley Foundation think-tank which investigates psychoactive substances and drug policy, hailed 2016 as a “great year for psychedelic research”. 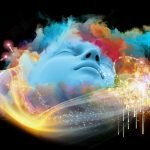 As reports emerged of professionals micro-dosing to cope with stress and depression, in April the Beckley Foundation published the first brain-imaging study into the effects of LSD in the journal ‘PNAS’. The results showed that the drug might change blood supply and neuronal activity in a way that scientists hope could unlock the drug as a powerful treatment for depression, anxiety, addiction, and OCD. A separate study by the Beckley Foundation and Imperial Research Programme in London found that psilocybin – the hallucinogenic ingredient in mushrooms – could help people with treatment-resistant depression. Another study published by John Hopkins University and NYU showed that psilocybin can reduce depression in cancer patients. After one dose, around 80 percent of the cancer patients experienced a significant reduction in psychological disorders which lasted up to seven months, with few side effects. But for such drugs to be used widely used on patients the fear surrounding hallucinogenics – which is understandable due to the health and crime risks associated with illegal street drugs – need to be tackled, says Niño. He makes clear that he is pushing for the medicalisation of such drugs, rather than them being legalised for recreational use. He is also throwing financial weight behind the cause, he adds, because research suggests that hallucinogens are effective after one or two doses – meaning larger pharmaceutical firms are put off from investigating their use. “Once you go to the lab and analyse the data you see the evidence is clear. But it has to be done in a controlled setting under the direct supervision of experts just like with any other medicine,” he says. “I’m was a New Yorker,” he says matter-of-factly. “I’m a father of three kids. I’m a real estate developer and I’m very scientific and data driven. To me, hallucinogenics were just another illegal drug just like heroin or cocaine but I couldn’t have been more wrong. Niño says the impact ayahuasca had on him chimes with what psychologist duo Pahnke-Richard defined as a “mystical experience”. “I want to help these incredible scientists do their work,” he goes on, adding that he invites anyone intrigued by current findings to back his campaign. “I’m doing this on the behalf of everyone I love because I don’t want to see the frustration of my family members in other people. We all know someone who has died in fear or will die in fear, or be addicted to cocaine or alcohol or suffered from depression. This article was originally published on another site. Read the original article.